For desktop PC (also playable in VR). Lead your troops in explosive arcade action battles that rage across tabletop battlefields. 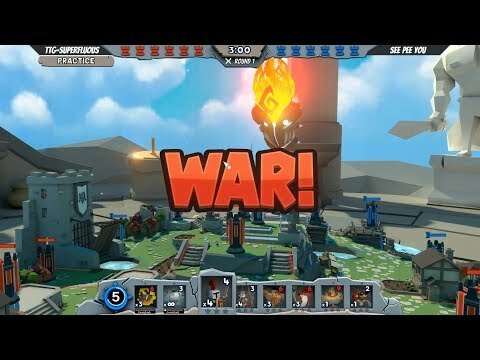 Command your troops, set fiendish traps, bolster your defenses and wield powerful magic to destroy your opponent as you compete for power in the heavens! 1. Trials Mode matches now have a RESTART option so you can instantly restart a match that you're hopelessly losing ;). a) More control options: Four different options for what the "forward" direction is - i.e. what direction you'll move when you push up on the left controller: (Option 1, the new default) Your facing direction, (Option 2, the previous default) The direction arrow on the floor, (Options 3+4) your left or right hand pointing direction (some people like this method, apparently). We've updated the SETTINGS screen to accommodate this addition. b) Removed personal space settings. We figured they weren't very important for non-VR players. 4. AI Gods now have their correct names in Skirmish and Trials modes. 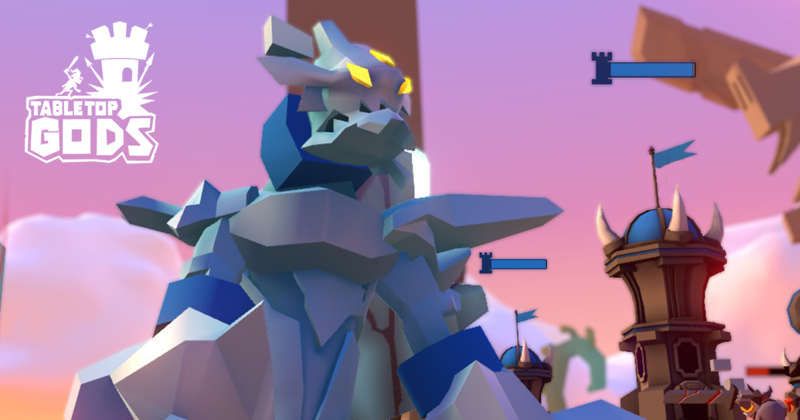 e) The max number of targets that a Behemoth can inflict damage on in a single attack has been reduced to 6.
f) The Behemoth's guarding behavior has been improved. h) War Clerics healing ability and XP gain has been nerfed. i) Archers XP gain has been nerfed. j) Ice Golems XP gain has been nerfed. k) Witch's attack range and AoE, speed, turn speed, health and curse duration have all been buffed to varying degrees. l) We fixed an issue where skeletons were dying unexpectedly. 8. 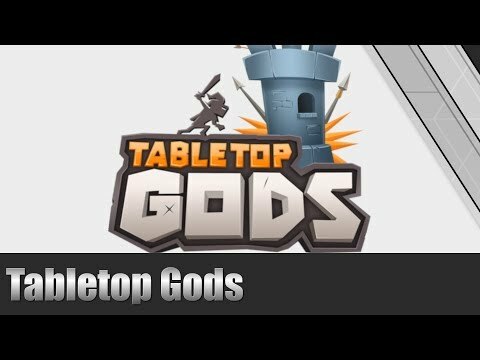 Demon table geometry has had subtle changes to allow easier placement of towers. I've got a 2080 GPU and it can't hit 90fps. Playing on WMR. Not using any supersampling. Any ideas? 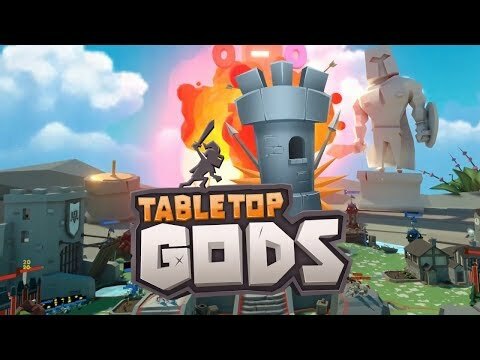 good this game there is someone who tried it out on the platform of wmr? and if so is it working properly? 1. Troop XP has been tweaked to [hopefully] smooth out the previous variance in ramping depending on the opposing faction. The intention is that troops shouldn't level up at horribly different rates when playing against different factions. 3. We've decide to go all 8-bit on the new Level 3. Being oldskool, I personally feel more comfortable with this new direction. 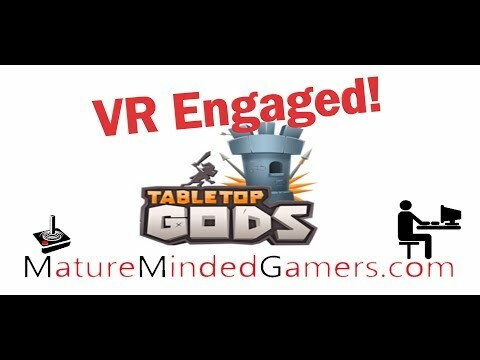 Tabletop Gods in -VR- Time to attack!! Look at this cheeky witch, lookin' like she owns the place. I always loved the way the Pestilence Launcher looks. Caught this screenshot at the perfect moment. Spicy! 1. 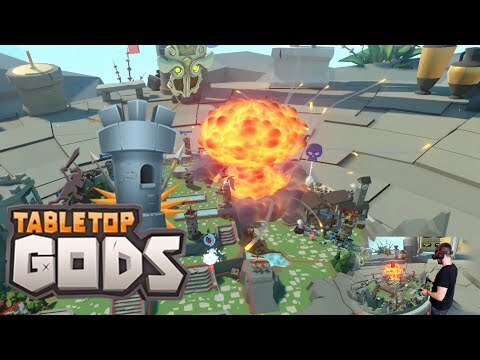 VR - INFO on troops, towers, traps and spells now added when playing in VR! You can turn the info text on/off as you like using the checkbox! 3. NEW TRIALS! Two more Trials (each containing 8 matches) have been added for your single-player pleasure! 5. Many miscellaneous bug fixes. 6. The new Level 3's graphics are coming along nicely. They're a bit slack at the moment, but nothing a bit of tightening up won't fix. Traps: A Passive-Aggressive Guide to Defences. This guide is intended to give players a few insights on how to effectively use their traps. Clever placement and less-than-obvious tips will help you be sure that your traps are operating at peak effectiveness.